Contract Metal Stamping – Custom Engineering | Winzeler Stamping Co.
Blending years of experience, innovative solutions and superior craftsmanship with progressive die stamping and transfer die stamping, Winzeler Stamping Company’s in-house engineering team uses the latest technology to design quality into every part we produce. As a provider of contract metal stamping solutions to a variety of industries, we assist companies in developing tools and products to meet the specific needs of each customer with the goal of achieving optimum performance at the most cost effective price possible. We understand that each part we produce is component of a larger application, so we believe communication with our customers is critical to our mutual success. In addition to reviewing all the prints we receive for the basic manufacturability of the part, our engineering team also makes certain that they understand exactly how the part needs to function within its application. We utilize the most current releases of CimatronE, Autodesk Inventor 3D and AutoCAD 2D tool design software and accept file types such as: DXF, IGES, and DWG. 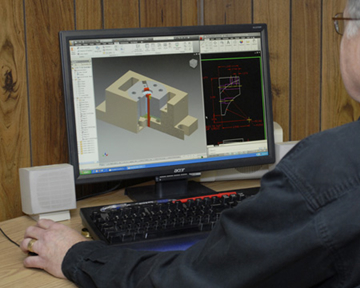 To further assure that your product meets your needs, we offer Finite Element Analysis, a comprehensive predictive computer analysis service which simulates various forming processes. 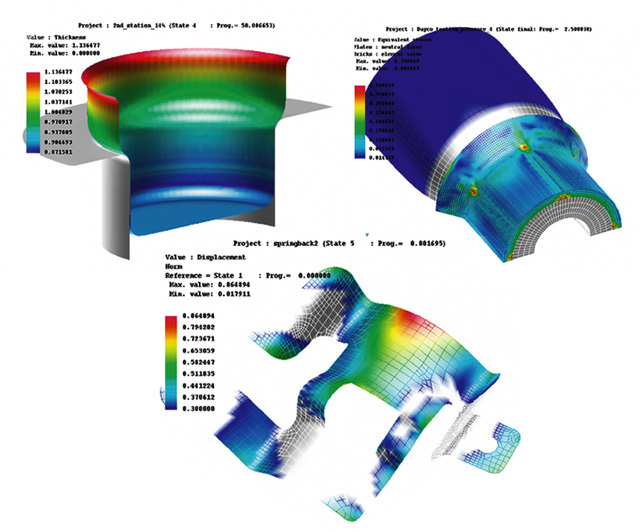 The FEA simulation process could lead to early detection of deficiencies that can save valuable time and expense during product development and/or evaluation. 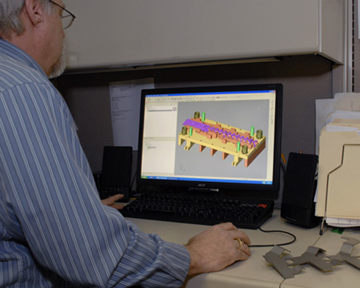 Because of our years of experience in designing parts and assemblies, our engineering staff is often asked by our customers to evaluate, improve, or assist with existing designs. We take pride in our work; and especially when we are able to significantly reduce part cost or improve part functionality for one of our customers. We also welcome the opportunity to function as an extension of your design and engineering team to help you work on the concept of a new part or to design a solution for a problem application. Winzeler Stamping Company always works toward seeking the best solutions for developing tools and products in a cost effective manner without sacrificing quality. We believe this attitude saves you time, money and worry. Contact Winzeler Stamping Company today to learn more.